At Webfoot Outdoors, our philosophy is to build a solid foundation using a keep it simple mindset. Each handler and dog has different needs. This is why we customize each training program to meet those challenges. We offer the full spectrum of dog training, utilizing a step by step building block program. Our training program ranges from puppy socialization and basic obedience classes, to finished upland gun dogs and retrievers. We have the facilities, equipment and experience to help you meet your goals. 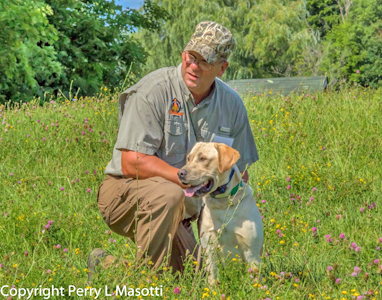 Gun dogs and retrievers have a job to perform. That job is done off lead in the field, locating game and retrieving birds. 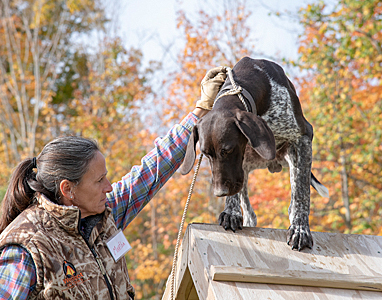 Our training is focused on producing a hard working, steady dog that gets the job done. Your dog will work a lot of live birds in natural hunting scenarios. The exposure to a wide variety of hunting conditions is critical in building a bold but cooperative hunting companion. This finely tuned team will be a pleasure to have around the house and will be unbeatable in the field. There is no match to the satisfaction that it will bring.